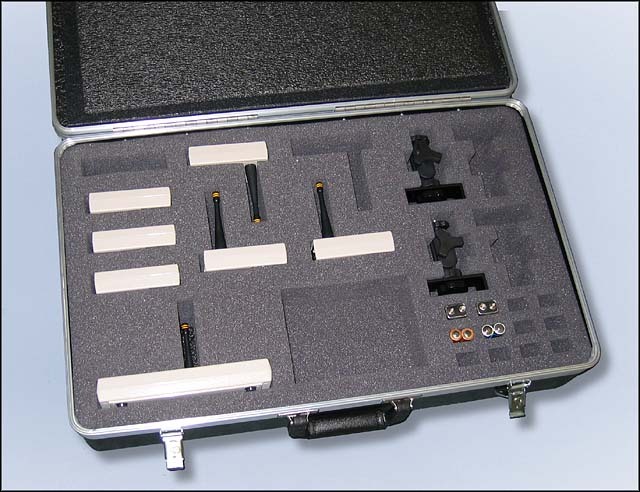 Protect your investment and make transportation easy with a carrying case custom designed for your timing equipment. The hard shell case provides protection on the outside. The custom cut foam interior cradles your equipment on the inside. The exterior features a heavy duty metal valence and turnbuckle latches. The foam cutouts securely hold the Polaris timer console, four sets of electric eyes, four quick mounts, and batteries. An additional cutout is provided for small accessories. 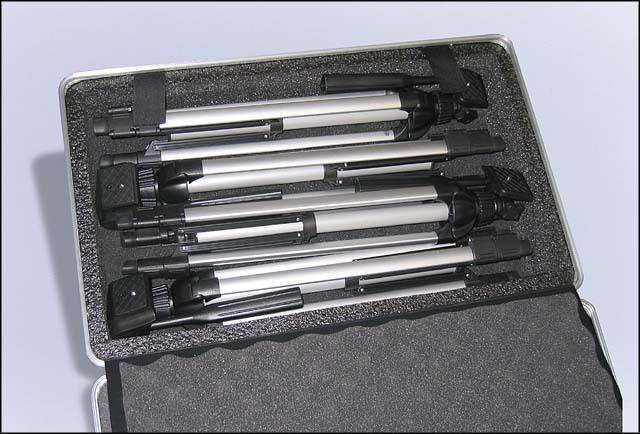 The lid of the case holds up to four tripods. Dimensions: 24" wide x 15" tall x 9" deep. The carrying case is typically sold as part of a complete timing system. To learn more, choose the application that is closest to your event from the list shown on the left. 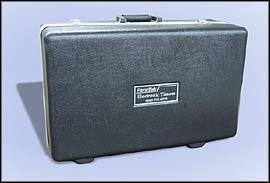 If needed, the carrying case can also be ordered below. 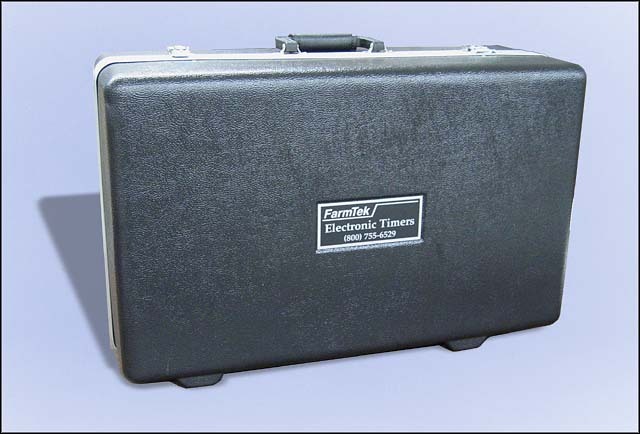 The case comes as pictured above, ready to hold your timing equipment. 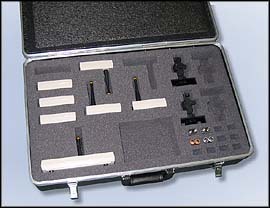 (Timing equipment shown in the picture is not included).